Leicester Secular Hall is a Grade II Listed Building built in 1881 for Leicester Secular Society. In the 1840s and 50s Secularist lecturers were frequently denied the use of public meeting rooms, either because they were owned by religious bodies, or clerical authorities put pressure on lay landlords, and publicans were afraid for their licenses. This led many secularist groups to build their own meeting places. The Secular Hall in Leicester is one of the few remaining and the only one still used by a Secular Society. 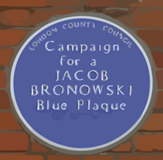 The immediate cause for planning the hall was the denial to George Jacob Holyoake, who had been a visitor to the town since l843, of the use of a public room at the ‘Three Crowns’ for a lecture in 1869. Funds were raised by issuing shares in a Leicester Secular Hall Company to the members of the Society, although the majority of these were bought by two local business men Josiah Gimson and Michael Wright, and it was Gimson who engaged the architect, W. Larner Sugden of Leeke, whose design was described as ‘a free treatment of Flemish Renaissance’. A prominent feature above the entrances to the Hall are five terracotta busts, sculpted by Ambrose Louis Vago, representing, from right to left, not quite in chronological order, Socrates, Jesus, Thomas Paine, Voltaire and Robert Owen. The busts of Paine and Owen are the earliest memorial representations of these men in the country. The inclusion of the bust of Jesus caused considerable controversy at the time, which was probably the intention. Often overlooked are three panels higher on the walls with Masonic symbols depicting Liberty, Justice and Truth. 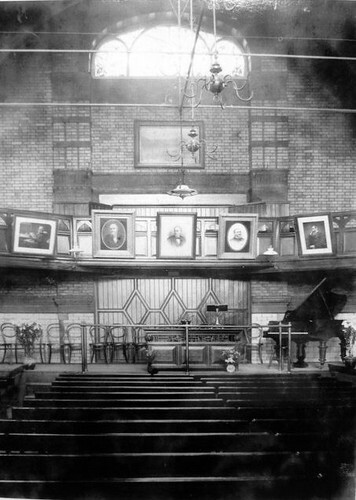 At the Opening of Secular Hall on Sunday 6th of March 1881, three meetings were held, morning, afternoon and night. Many of the leaders of the secuular movement were there. In the morning Josiah Gimson gave the inaugural address. Annie Besant and George Jacob Holyoake also spoke. In the afternoon Theodore Wright presided and Charles Bradlaugh and Harriet Law spoke. R. A. Cooper of Norwich took the chair at the evening meeting; this was so crowded that an overflow meeting was held in the club room below, where the speeches were repeated. Bradlaugh, Mrs. Besant and Holyoake spoke. For the opening of the Hall, the poet James Thomson had written a poem which was recited at each meeting by Mrs. Theodore Wright (who was a prominent actress of the period). Holyoake’s address, afterwards published separately in pamphlet form was on Secularism, a religion which gives heaven no trouble. Both of the founders, Gimson and Wright, died soon after the opening of the Hall. However one of Gimson’s sons, Sydney Ansell Gimson, remained President of the Society until 1938. When the Secular Hall Company was closed down, the ownership of the hall was transferred to a Leicester Rationalist Trust in 1907. Many luminaries have spoken at the hall over the years, including Peter Kropotkin, William Morris, George Bernard Shaw and Bertrand Russell. From the opening of the Hall the right-hand frontage was occupied by a freethought bookshop, run by William Henry Holyoak – no relation to G.J. – who was a founder member of the Society. It remained a radical bookshop until quite recently, although under various different managements. For many years now the meetings of the Society have been held in the ground floor room (formerly the Club room) with the upper floor being let out to a Dance School, and the basement to a Karate Club. The current President, Allan Hayes, has attempted to obtain Heritage Lottery funds for much-needed regeneration of the building, such as disabled access, but the present financial crisis throws this into question. 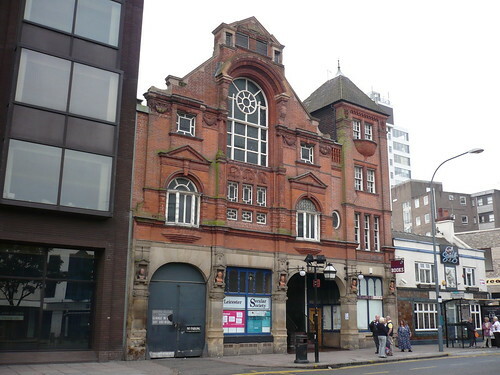 Most Leicester Secular Society lectures and meetings are held at the Hall, 75 Humberstone Gate, Leicester LE1 1WB. All are welcome.